No Parking For Mosquitoes: keep your gutters clear of leaves, dirt and other debris that could potentially clog downspouts. Standing water in the gutters can attract mosquitoes that can carry diseases and cause other problems. Tell Bees To Buzz Off: if you have gutter guards with holes on your gutters, bees can get in and form nests or colonies. After all, dark, enclosed places are perfect for making honey. If you notice a nest, you can eliminate it with bee and wasp spray. Just be sure to purchase a canister with a long-range sprayer. 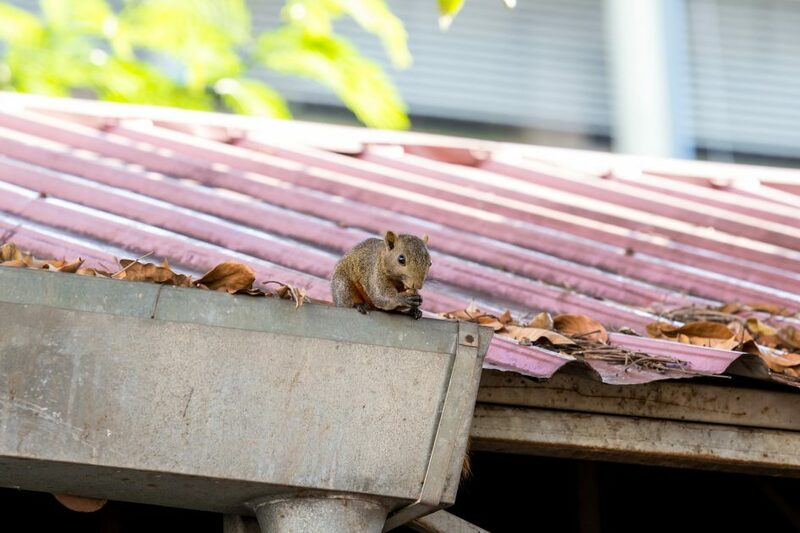 Keep Squirrels Away: these cute little animals often seek shelter in gutters when they have no place else to live. We recommend planting shrubs or small trees around your property so they can live there instead of your gutters. It’s also important to keep branches trimmed away from your roof so they have no means of getting into the gutters. North East Home Improvement is the experienced, local choice for gutter installation, maintenance, and repair. We offer professional service at a cost that you won’t shudder to hear.